When Trump sticks to the plan that got him elected he can’t be beaten. Dems learned that over the weekend…unfortunately, they already have done harm to this country! They stopped the government for three whole days all for nothing just to show the illegals how much they love them. On Monday, Democrats caved to pressure to end the shutdown and agreed to a three-week spending bill that will fund the government until February 8. 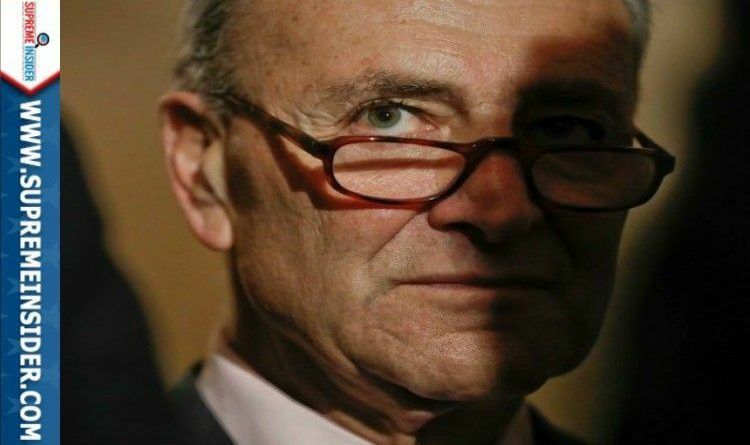 Democratic sources told reporters that the CR is “good to go” in the Senate, and revealed that Democrats remain fully aware of the negative polling that suggests that Democrats will take the blame for shutting the government to force a vote on the Deferred Action for Childhood Arrivals (DACA) illegal aliens. Wow! Now I’m really impressed with their “patriotism.” It appears that the polling data that was disastrous for the libs is the ONLY thing that they care about…themselves and being re-elected, so their “principles” will simply have to wait till next opportunity. But it won’t surprise me to see the Democrats beating their chest claiming it was only because of their sacrifices that the shutdown is ending. If this don’t beat all! What do you think? Scroll down to leave a comment below!